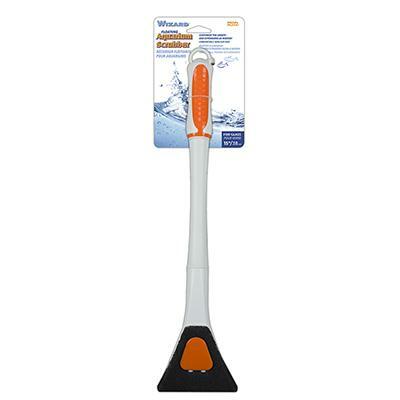 The Wizard Aquarium Scrubber Tool is a 15 inch glass scrubber that floats and can be used in both freshwater and saltwater tanks. 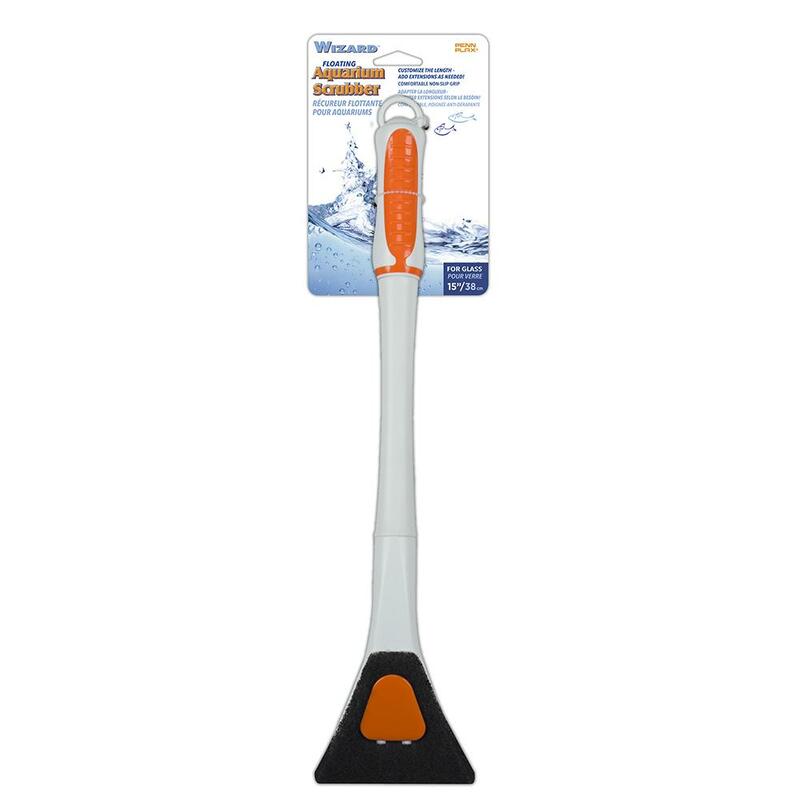 This tool is not meant for use on acrylic or plastic; for glass use only! Excessive pressure coupled with any sand or gravel on the scrubber pad can cause glass to scratch, so gentle use is recommended. Never use dry. This tool is not a toy, and is not recommended for children. Measures 15" inches long. Price is for one scrubber.